Hotel Information Guardamar del Segura Costa Blanca. 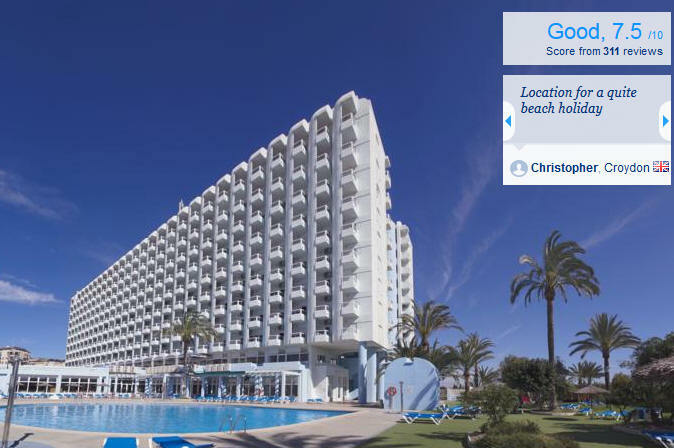 Hotel Information Guardamar Costa Blanca Hotels & Rental Accommodation for your Holiday in Guardamar del Segura on Sea. Just south of Alicante International Airport. Guardamar del Segura Hotel Information the Costa Blanca. In the centre of Guardamar, this modern yet cosy hotel is close to some of the prettiest beaches along the Costa Blanca. 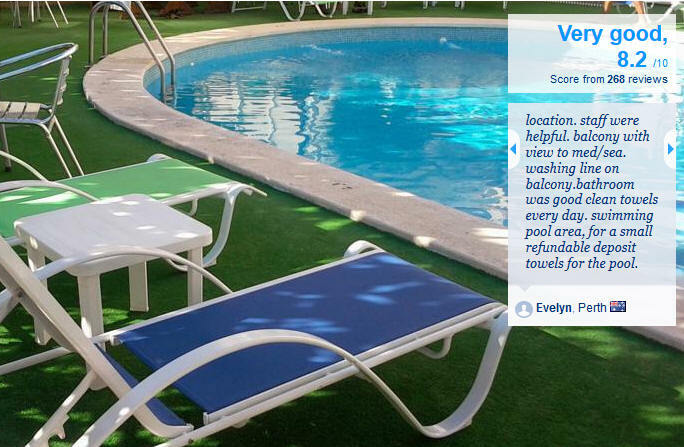 Just 250 metres from the Mediterranean Sea this small comfortable hotel awaits you with a friendly welcome. More. Local handicrafts, leather goods and fresh produce Guardamar del Segura Hotel Information the Costa Blanca Hotels Information. This family hotel is situated in a privileged setting on the beach front, with 15 km of beaches and surrounded by protected landscapes. All the rooms are doubles and have large terraces that enjoy views of the sea. Its well known restauThis family hotel is situated in a privileged setting on the beach front, with 15 km of beaches and surrounded by protected landscapes. All the rooms are doubles and have large terraces that enjoy views of the sea. Its well known restaurant offers you the finest regional rice dishes and the fruits of the sea of the local area. This is a place to enjoy some relaxing holidays, great cuisine and a naturally beautiful setting with sea views. Near the hotel you can practice horse-riding, paragliding and trekking in Laguna de la Mata National Park. The offering for golfers is considerable in this area with four courses in a radius of 25 km. 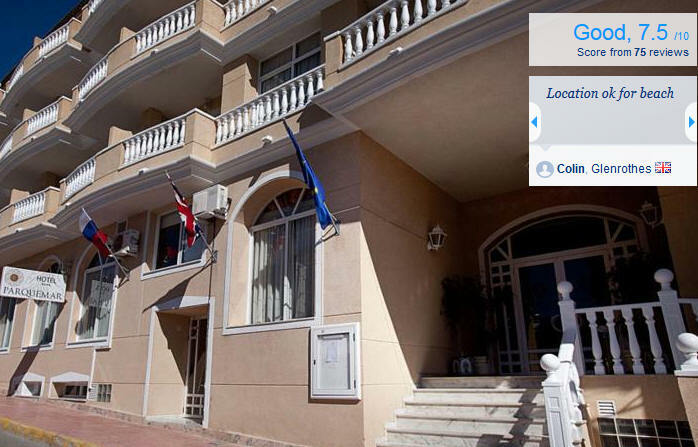 … More Guardamar del Segura Hotel Information the Costa Blanca. Puerto Rico 11, Guardamar del Segura • Hotels Information. Set overlooking the Mediterranean Sea on the Costa Blanca, the Hotel Guardamar is ideal for a family holiday in the sunshine, equipped with a small outdoor swimming pool. Spend the day relaxing by the pool equipped with sun loungers, here…Set overlooking the Mediterranean Sea on the Costa Blanca, the Hotel Guardamar is ideal for a family holiday in the sunshine, equipped with a small outdoor swimming pool. 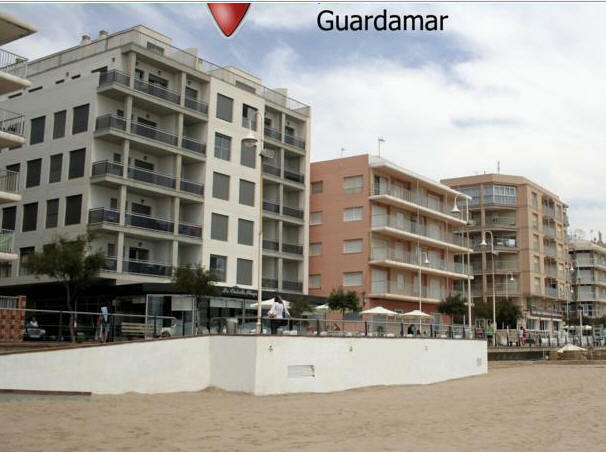 Hotel Guardamar is also situated just a short walk from the nearby sandy beach. After starting your day with a hearty breakfast in the hotels restaurant, head down to the beach with all the family. This hotel also has a 24-hour reception desk, so you can come and go as you please.Spend the day relaxing by the pool equipped with sun loungers, here you can soak up the sunshine all day long, and take a refreshing dip in the cool waters. More. Guardamar del Segura Hotel Information the Costa Blanca. Return to the hotel in the evening and dine with friends or family in the smart, on-site restaurant. Grab a drink in the bar after dining and chat with fellow guests. More Details and booking about this Hotels CLICK HERE. Gabriel Miro, s/n, Guardamar del Segura . … More. Guardamar del Segura Hotel Information the Costa Blanca. The Parque Mar has a fitness centre and a massage service, available at an extra cost. The golden beach is only 150 metres away. The Parque Mar’s restaurant offers buffet breakfast, lunch and dinner, with traditional Spanish food. Cocktails are available at the bar. 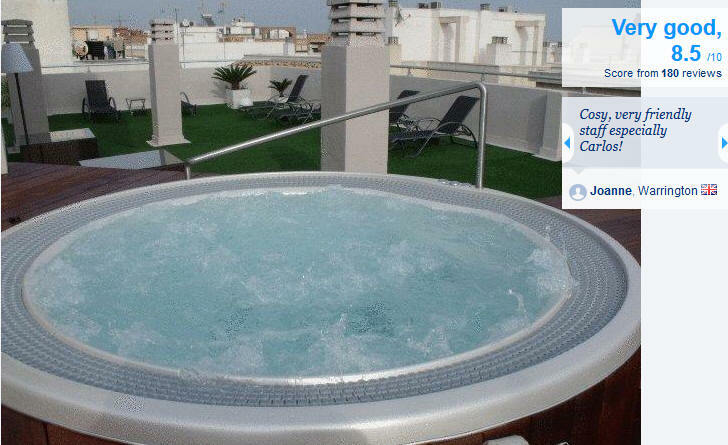 The hotel is located a few kilometres north of the resort of Torrevieja. In the surrounding area you will find plenty of golf courses. Hotel Playas de Guardamar is set on Moncayo Beach and has an outdoor pool and small spa, free to all guests. Each room has a terrace with Mediterranean Sea views. Hotels Information. … More. Guardamar del Segura Hotel Information. Hotel Playas de Guardamar has a sun terrace and garden, with a children’s swimming pool and a play area. There is Wi-Fi access for an extra cost, as well as a comfortable lounge. The spa area is open outside high season. It features a heated indoor pool, a hot tub and sauna. It also includes a small gym. … More. Guardamar del Segura Hotel Information the Costa Blanca Hotels Information. Jorge Juan, 2, Guardamar del Segura . The brand-new Guardamar apartments all open onto wide balconies offering views of the Mediterranean Sea. With 2 bedrooms and a separate kitchen, they provide you with plenty of space for a holiday with friends or family. Air conditioning and satellite TV add to the comfort. The property is surrounded by bars, restaurants and shops, just a 10-minute walk from the resort centre. You can also use it as a base to play on one of the prestigious local golf courses, all bathed in year-round sunshine. 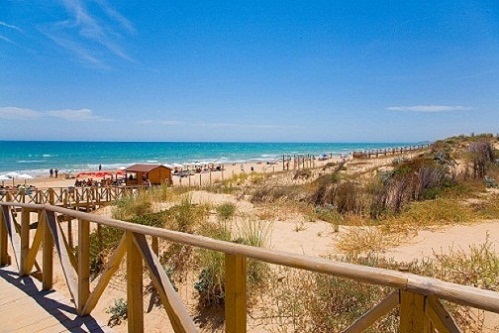 There are eight beaches in total in Guardamar which extend to almost 14 kilometres. From north to south, the beaches of Guardamar are Los Tusales (the naturist beach), Los Viveros, De la Babilònia, Playa Centro, La Roqueta, El Moncayo, Playa del Campo and Les Ortigues. One thing they all have in common though is their high quality sand, their length and the background of dunes planted with pines, eucalyptus and palm trees. Guardamar de Segura, situated a few kilometres south of our Office at Oasis, La Marina. It is a small typically Spanish Coastal town. It lies on the river Segura and enjoys an enviable coastal position. The town has a wonderful landscaped park where you can sit and relax, long sandy beaches and nearby pine forests. The Dunas de Guardamar cover an area of over 800 hectares, running parallel to the coast. They are sand deposits left by the Segura River and the Sea and at one time the threat of the town being covered by sand was a real possibility, for this reason the huge expanse of pine forest was planted in the early 1900s. The history of Guardamar dates from the 10th century, where it was inhabited by the Moors and the castle is an interesting monument. Historical remains can be seen, of particular interest is the Iberian settlement of Cabezo Lucero, where La Dama de Guardamar (Lady of Guardamar) was found dating from the 4th century BC. Local fiestas are celebrated in Guardamar all year round. The main festivals are in Holy Week (Easter), on the 21st June the ‘Planta’ de las Hogueras are celebrated where bonfires are lit in the town and fireworks explode from the castle. The Moors and Christians is the most popular summer festival celebrated in the second Sunday in July and in honour of Saint James, the people of Guardamar dress as Moorish warriors and Christian troops and parade through the streets to the castle where fireworks are exploded. In September and October the fiesta in honour of the ‘Virgin of Fatima and Rosario’ are celebrated. They are a wonderful opportunity to take part in traditional Spanish custom and are a colourful and fun way to spend an evening. The local market day is Wednesday Morning and there are a wide variety of stalls offering, local handicrafts, leather goods and fresh produce Guardamar del Segura Hotel Information, the Costa Blanca. La Marina Holiday Rentals rental homes on the Costa Blanca at La Marina, Buena Vista, La Marina Pueblo, El Pinet, San Fulgencio, Spain Rental Properties. Tel/Fax (00) 34 96 679 0844 or 34-679-779-122. Urb Marina, San Fulgencio, 03177, Alicante, Spain. UK Office 0871-4741-577. (Calls are at the UK National Rate). 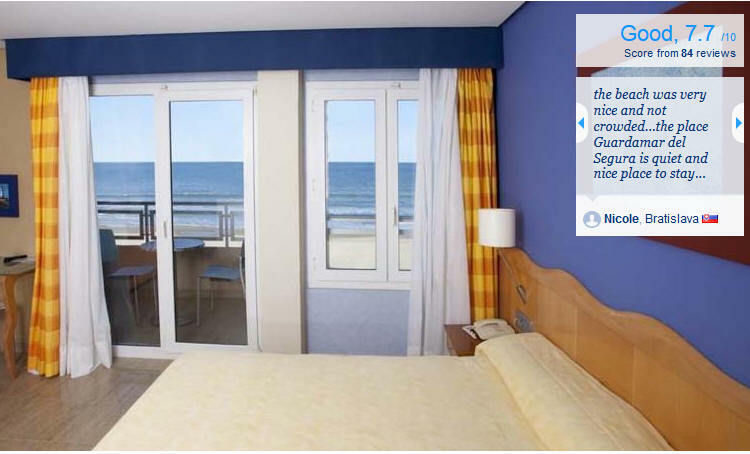 Accommodation Information, Guardamar del Sugura, Costa Blanca.